“I will never leave you or forsake you” (Hebrews 13:5 NIV). “Are you the only visitor in Jerusalem who doesn’t know about what happened over the past few days? Then the two disciples gave the traveler a blow-by-blow account of Jesus’ arrest, crucifixion, and disappearance from the tomb. Their eyes were blinded by despair and didn’t realize that hope was walking right alongside them. All they saw was the tragedy, but they missed seeing Jesus walking on the dusty road with them. When they reached the village where they were going, they urged this “stranger” to join them for dinner. When he was at the table, Jesus assumed the role of host and took the bread. He gave thanks, broke the loaf, and passed it to the men. At that point, I am sure a flood of memories returned to the men…memories of another meal where Jesus broke bread with His followers. But perhaps what opened their eyes to this man’s true identity were the nail-scarred hands that held the bread. “Their eyes were opened and they recognized him, and he disappeared from their sight” (Luke 24:31 NIV). Perhaps you’ve traveled down your own dusty road to Emmaus, with circumstances leaving you confused, troubled, and depressed. If so, remember this my friend: Just because we cannot see Jesus or sense His presence does not mean that He is absent. He is walking the path with us. Jesus assures us with these words: “I will never leave you or forsake you” (Hebrews 13:5). He gave His word. He gave His life. Dear Lord, I know that you are always with me. Forgive me when I whine about being all alone. Forgive me when I whine that nobody understands my problems. I know that You understand all things and that You are my hope Who is always walking right along the path with me. How do you think the men felt when they realized that the man in their presence was Jesus? What do you think the realization did to their dashed hopes and dreams? How would the realization that Jesus is always walking along the path with you change your reaction to disappointments and broken dreams? Sometimes life just doesn’t turn out like you hoped it would, and we have the scars to prove it. But our scars don’t have to be something we are ashamed of, no matter how we got them. Just as people recognized Jesus when they saw his scars, people will see Jesus when you share about yours…when you tell your story. Learn how to turn your pain into purpose, and your messes into your message. 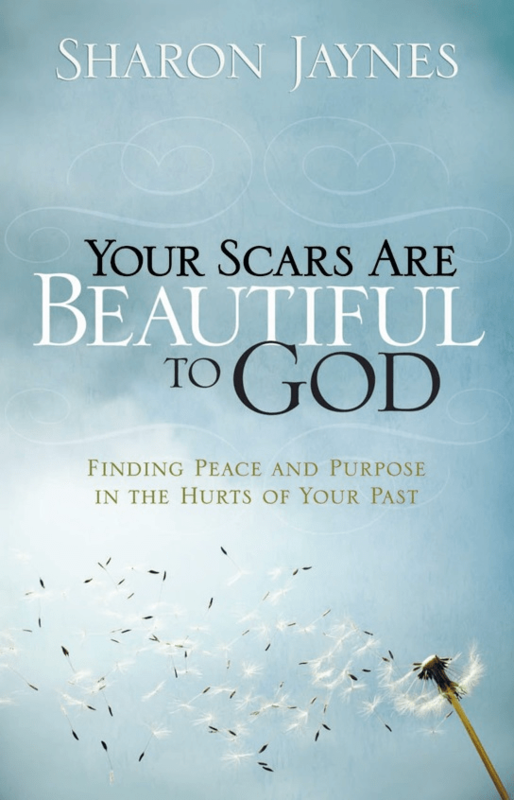 Release the power of your past and begin using what you’ve gone through for good with Your Scars are Beautiful to God: Finding Peace and Purpose in the Hurts of Your Past.